This was one of the best experiences I have had with a company doing a major house project. 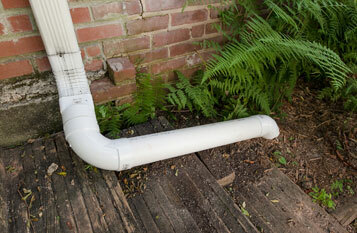 "Water had been leaking into our part-dirt, part-cement basement for years and getting progressively worse. I talked to several waterproofing companies and Keller was the only company that offered a complete solution involving moving water away from the house, French drainage system, building several retainer walls, and using a vapor barrier. The work crew was the absolute best. Hard working individuals, polite and responsive to my questions and requests. This was one of the best experiences I have had with a company doing a major house project. 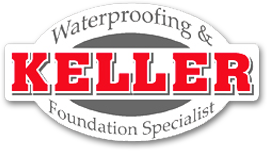 I recommend Keller Waterproofing without any hesitation." “Everytime it rained hard, I had water all over my basement floor. Jim was here within a day. He actually spent four hours that very first night analyzing the situation and putting together a proposal for me. Within a couple of daya, Jim's team was on site and they started the job and I can't say enough about how courteous and friendly they were and how they picked up after themselves every night... They did a great job! When it rains now, I don't have to worry if we go away, do I need to come home and cut the vacation short to get home to get the water off the basement floor. Also, that musty smell is gone. Again, I can't say enough about Jim Keller and his crew from Keller Waterproofing." Simply put, Keller is the best foundation repair company in the metro area. "I have a 1971 brick ranch with a full basement that sits at the bottom of a hill. (Never buy a house at the bottom of a hill.) Unfortunately, due to its location, time, and hydro static pressure, the house developed a bowed wall in the basement. I researched and interviewed several foundation companies. But, Keller was the only one that had a solution on how to deal with the bowed wall that made sense to me. Keller offered one of two options, replace the block wall or pour another supporting wall in front of the bowed wall to relieve the pressure. My research revealed that these options offered the best long term solutions compared to his competitors. His repairs have stopped water from entering my basement. Simply put, Keller is the best foundation repair company in the metro area." The work that was done was exactly what was agreed upon and was completed ahead of schedule. I have a finished basement that had been leaking for a period of time. After having several estimates I chose Keller foundation because they recommended the best and most common sense solution for my situation. I was provided with a copy of the company business licence, insurance, references, etc, during our initial meeting along with an excellent diagram and proposal. The crew did a fantastic job and treated my property like it was their own. They cleaned up when the job was complete and took the time to answer any questions I had. The work that was done was exactly what was agreed upon and was completed ahead of the scheduled completion date. Several of my neighbors complemented me on how nice the yard looked after the job was complete.